Regular readers (who manage to keep up with my erratic posting schedule) know by now that Sydney is a city of many festivals. If you look hard enough, there’s something going on somewhere in the city almost every day of the year. That said, things to tend to calm down a bit in the “winter”, a term I use loosely coming from Chicago. Winter in Sydney is more of what I’d call a moderate autumn, but it still gets a bit chilly and tends to push people indoors. As a result, the beach and park festivals aren’t as prevalent, so the city puts on other events instead. 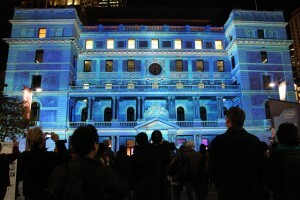 One of the most visually interesting events during this time was Vivid Sydney, a festival of “Light, Music & Ideas”. 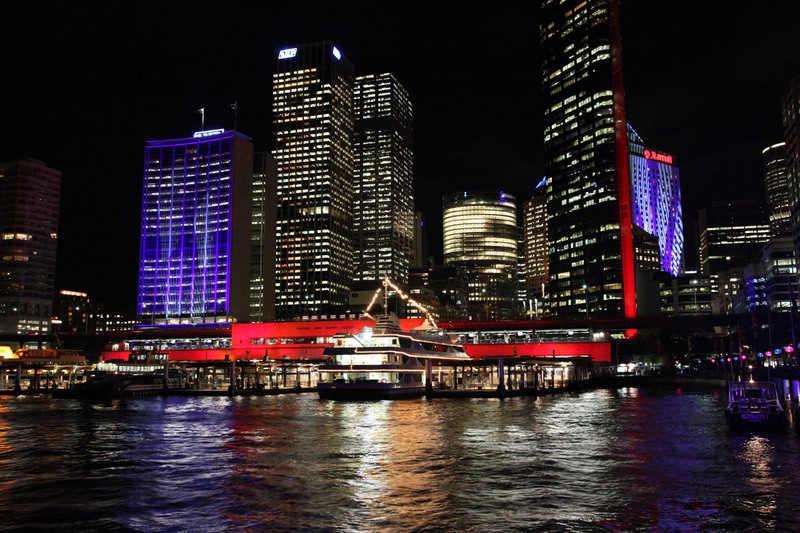 There were many displays all over the city but, as usual, the best ones out there were found in and around Sydney Harbour, the home of Sydney’s most famous landmarks. Hotels, office buildings, museums and other landmarks all came to life as giant projector screens, with animated light shows bringing new life to the facades. The Customs House, for example, filled up with water, flexed in and out, and broke to pieces before turning into a giant microprocessor (courtesy of Intel, the sponsor). 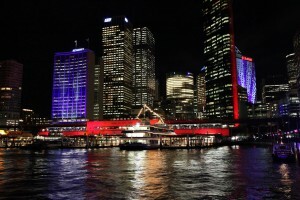 Even the Circular Quay train station got in on the action! 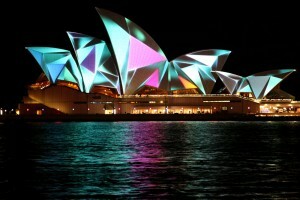 As usual, the centerpiece of the display was the Opera House, which hosted a variety of different light shows. Some were more fanciful, showing sea creatures swimming around. The best displays, though, were the ones that highlighted the building’s structure itself. 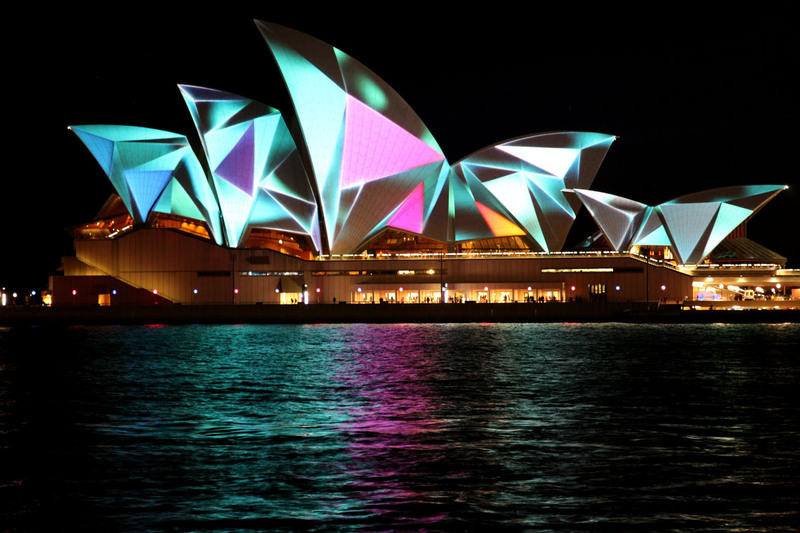 Light turned the famous sails into fans, glass mosaics and geodesic curves. I took plenty of pictures; prints are available if you’re interested! Look for an upcoming picture post to check out more shots. A few weeks later, we welcomed our first official guests (a few friends had come through as part of separate trips). Tessa and Tarrah visited for a couple weeks and traveled to Brisbane and Cairns before returning to Sydney to tour the city and surrounding areas. While here, they held koalas, went snorkeling on the Great Barrier Reef, and got to meet some of Kristen’s friends. 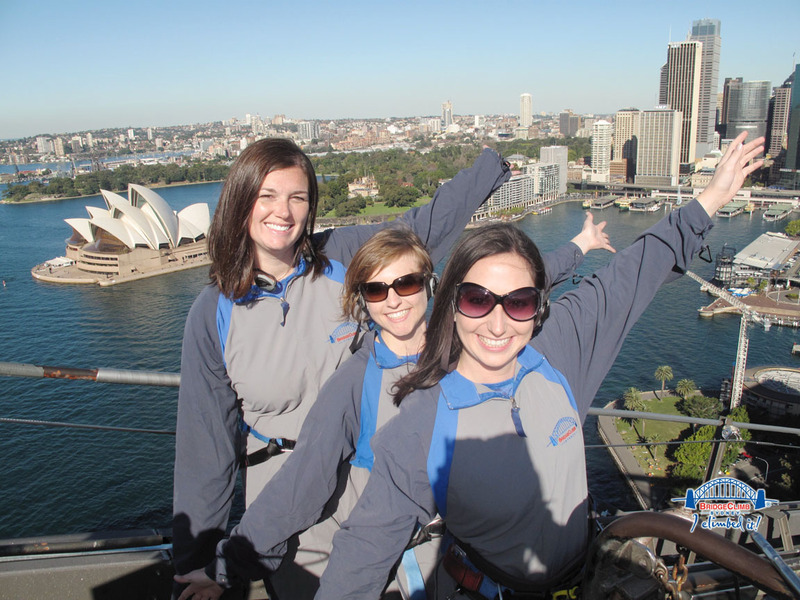 They and Kristen also climbed the Sydney Harbour Bridge, an extremely touristy and fun experience that we recommend to all incoming visitors. 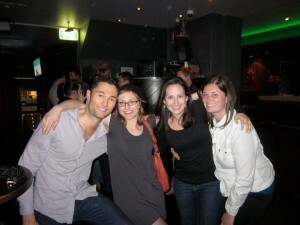 As is frequently the case, the two weeks flew by, but it was great to see familiar faces and share part of our life in Australia.